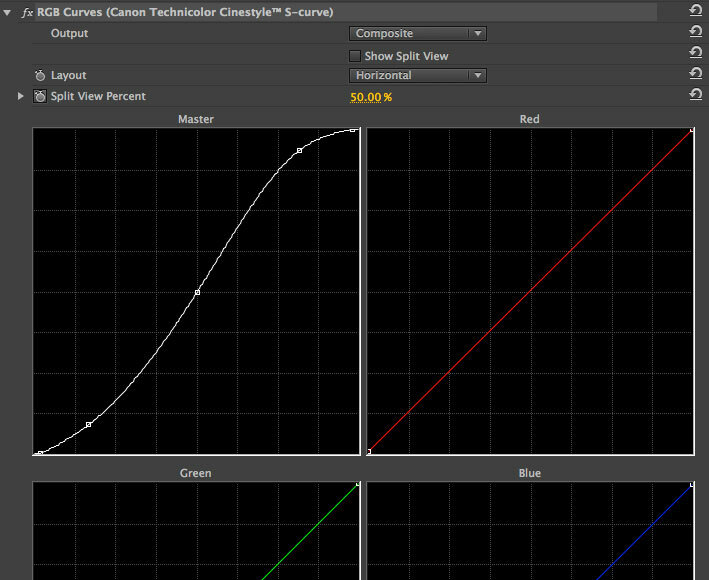 If you've shot anything on a Canon DSLR, you've probably heard of Technicolor's Cinestyle picture profile. Since the DSLR's are compressing your footage, it helps keep some of the detail, mimicking cameras with more dynamic range when you go to color correct the footage. It's a great tool, and one I use all the time, but it requires the added workflow of always needing to do color correction on your footage unless you want it to look really bland. Thanks to products like DaVinci Resolve there are some great tools to do this, but what if you just don't have the time to properly color grade your footage? I came across this issue with a deadline looming ahead of me and some interview footage badly in need of color correction. As much as I would have liked to take it into Resolve, the project needed more time on the edit and I couldn't spare the round-trip from Premiere to Resolve. I tried using the Lumetri engine to apply the default Cinestyle LUT to the footage, but if you've ever used it, you know it's always a little too saturated and red, and the Lumetri plugin doesn't allow for adjustments. Luckily there's a set of Effects presets for Premiere called Jarle's Presets that have some really great settings out of the box, and one of them is a Cinestyle color corrector that mirrors the default LUT, but with adjustable controls for each channel. Throwing this on an adjustment layer in Premiere, making some minor changes, I had decent looking footage in about 30 seconds. By no means am I advocating for skipping a proper grade, but if you're in a jam and need something quick, especially if it's something like exporting footage for dailies, this is really helpful and get's you most of the way there. Do you have any other suggestions or tricks when you do color correction? What method do you use when you need a quick fix? I'm curious to hear what the rest of you use as I still have plenty to learn in the field of color correction!